We are involved in providing an extensive range of packaging products like Kraft Papers. These papers are produced from wood pulp using kraft pulping process that convert wood into wooden pulp comprising of thick cellulose fibers. The paper made through kraft technique is available in both sheets and roll forms. Main application of the Kraft Papers is in industrial packaging. The kraft paper bags, boxes and wrappers are widely used for packaging of light to medium duty products. The kraft paper bags are offered in different sizes and dimensions as per the specific needs of packaging industry. Many kraft paper bags and covers contain attractive printed designs, which fulfill the need of various sectors like interior decoration, gift, event promotion, textiles companies and many more. Hotels and restaurant owners supply their certain food products in Kraft Paper packaging materials. Besides its use in packaging industry, Kraft Papers are also used in designing of pamphlets, banners and posters for specific brand promotions. In this fierce competitive market, business organizations use different advertising techniques for promotion of their products and services. Banners and logos creation is one of the popular advertising techniques. 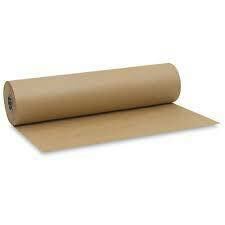 Kraft Papers are highly resistant to dust particles and known for their high load carrying strength. Therefore, these papers are preferred by the advertising companies for making attractive banners and printed logos.